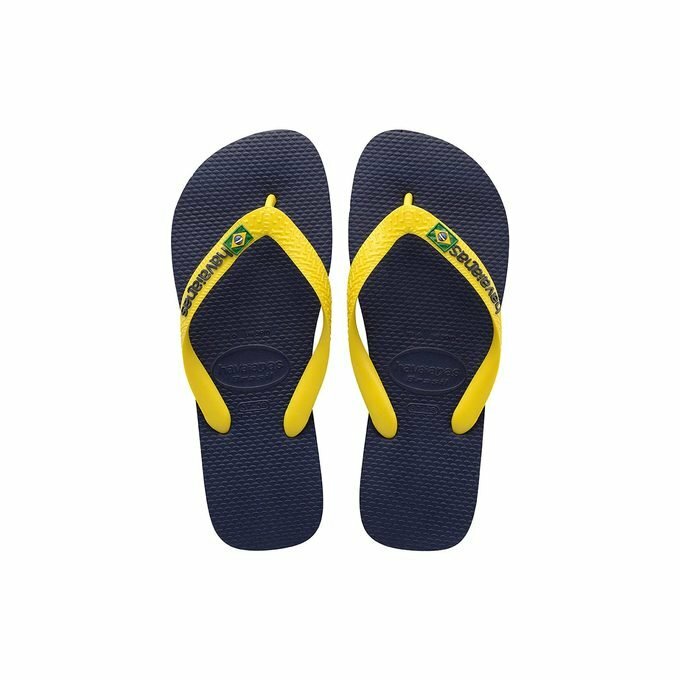 Brazil's original and authentic flip-flops in a wide range of colours. This model includes the Brazilian flag on the strap and the logo is coloured. The sole has 3 rubber stripes in three of Brazil's colours: yellow, green and blue which make it one the most famous Havaianas models. - Strap includes the Brazilian flag.